Adoption of Conclusions on the Strategy “Energy 2020” and Priorities within Energy Infrastructure for 2020. On February 4th in Brussels Heads of states and governments of the European Union states will gather for the Summit of the European Council to discuss strategic issues within energy policy and innovational development. This is the first “subject” Summit within the EU history, when they’ll discuss energy issues to develop a unique line of all the states of the community. First steps of the Summit arrangement have been already undertaken by the Prime Minister of Hungary Viktor Orbán and the European Commission Chairman Jose Manuel Barosso during the joint session of the Governments of Hungary and the EC on January 7th, 2011. As the EC Head Jose Manuel Barosso admitted holding a speech on November 5th during the event, devoted to energy and innovations, he is not satisfied with the progress in the sphere of energy efficiency: “When there is a great progress observed in the sphere of renewable energy sources and it’s realistic to assume that we’ll achieve our 20% objective by 2020, then the situation within energy efficiency is another case... We should speed up the establishment of internal market. I would like for the European Council to adopted an agreed decision on main absent link of infrastructure, also on elimination of all the barriers to the present European energy market”. - efficient and unique European approach in the sphere of foreign energy policy. The report of the European Council press-service on the agenda of the “Energy Summit” in general repeats the wishes expressed by Barosso: “to adopt approximate decision on improvement of the European energy market operation, especially towards the key absent links, on promotion of innovational solutions in the sphere of renewable sources of energy and assurance of efficient coordination and cohesion within foreign energy policy of the EU”. The second part of the Summit will be devoted to the development of European innovational potential. One of the most authoritative European research center (Center for European Policy Studies) before the Summit prepared a special “open letter” listing expert views. According to them, successful innovational policy needs Strategic plan on energy technologies. Otherwise, experts worn, the Plan can turninto another tame policy of the EU. Hungary, that took over the EU Chairmanship from Belgium on January 1st, suggests to focus on general image of the EU energy policy. Except for the first EU Summit with the new Chairman, to be held on February 4th, Hungary also counts that the EU Council of Ministers will adopt jointconclusions on two main strategic documents on February 29th. These are the strategy “Energy 2020”, which sets energy priorities for the following decade, and also the priorities of the energy infrastructure 2010 and so on. 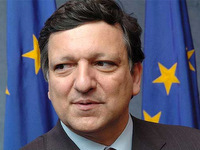 Both were presented by the European Commission in November 2010. Another important strategy developing document, which Hungary will promote, - is the updated Plan on energy efficiency development (Energy EfficiencyAction Plan), which the European Commission will present in the beginning of March. Its recommendations can be adopted during the second session of the energy Ministers of the EU states in June. Also it is expected that during an informal Ministerial meeting in Budapest on May 2nd – 3rd a draft variant of the energy road map of the EU of 2050 will be considered. The preliminary variant of the document itself the European Commission is going to publish not earlier than autumn of 2011. Exactly within the frameworks of the foreign dimension of the energy policy of the EU the Head of the EC Jose Manual Barosso visited Azerbaijan and Turkmenistan accompanied by the European Commissioner on Energy Günther Oettinger on January 13th -15th. Barosso and Ilham Aliyev signed a Joint Declaration on the establishment of Southern gas corridor, where Azerbaijan expresses its readiness to supply “significant scopes of gas” to the European Union on a long-term ground. In its turn Europe will assure the access of this gas into its market. During the press-conference in Baku Jose Manuel Barosso expressed his preference for “Nabucco” project. Let’s remind that the EU has agreed to invest 7.9 billions EURO into this gas pipeline. At the same time, Baku hasn’t yet decided whether this gas will come from the great field of Shakh-Deniz-IIthrough Nabucco, or via other competing gas projects. Except for Nabucco, several other potential pipelines are included into the notion of “Southern Stream”: ITGI (Turkey – Greece – Italy), TAP (Greece –Albany and further – through Adriatic Sea to Italy) and “White Stream” (Georgia – through Black Sea to Ukraine and further to Poland). Nabucco Consortium welcomed Barosso visits. The Consortium press-secretary Christian Dolezal named 2011 as a key one for the gas pipeline, hopingthat the prospect decisions “will significantly influence future European energy supplies”. Let’s remind, that Nabucco Consortium plans to start the gas pipeline construction in 2012, for the first supplies would go in 2012-16. The idea of the planned 3300km Nabucco is about exporting gas from the region of Caspian Sea and North Iraq to Austria (Turkey - Bulgaria-Hungary-Romania-Austria). Till Consortium hasn’t signed the corresponding gas contracts with Azerbaijan and Turkmenistan, which threats with insufficient fuel scopes for exporting. The document signed between the European Union and Azerbaijan is potentially significant step to the reduction of dependence from Russian supplies. But the uncertainty around the “Southern Corridor” remains. From political point of view Azerbaijani support of the idea of its gas supplies to European states is not new. But from legal point of view the document contains the intentions of the Parties, but not definite liabilities. The visit took place in a significant time, as during months to come Azerbaijani Government will have to decide, who will gain the right to produce gas from the huge field. Two powerful actors in the region of Caspian Sea are able to impede the EU plans — Russia and China. Earlier Russia claimed its intention to purchase total gas from Azerbaijani field. It’s expected that this year Azerbaijan will supply Russia 2 billions cubic meters of gas. Another potential buyer from “Shakh-Deniz II” is Iran. Five year contract for the supply of 1 billion cubic meters was concluded by the Parties in 2011 a day before the visit of Barosso to Baku. As Azerbaijani gas is not able to fill the capacities of Nabucco, in order to promote the initiative of Southern Corridor Barosso went to Turkmenistan, possessing the fourth big developed gas reserves in the world. 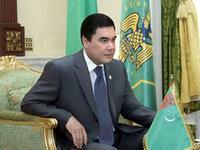 Its President Gurbanguly Berdymukhamedov demanded for the energy sector of the country to promote contacts with Europe. “Today we are also ready to supply gas to European states. It’s necessary to solve this issue this year”, he stated. But there are some definite difficulties. In respect with the unsolved legal status of Caspian Sea the construction of subsea gas pipeline from Turkmenistan is problematic. On January 24th Barosso plans to sign an energy memorandum also with Uzbekistan. Its Head Islam Karimov comes to Brussels for that. According to one of European authorities, presented by the magazine of European news EUobserver, at the moment Parties finalize the agreement of the document. “At the given stage this in fact is a political declaration, which states the common interests in energy sector and deepening of contacts within supplies as well as ways diversification. It’s possible that further on the document will be substantiated with projects”, added the source..